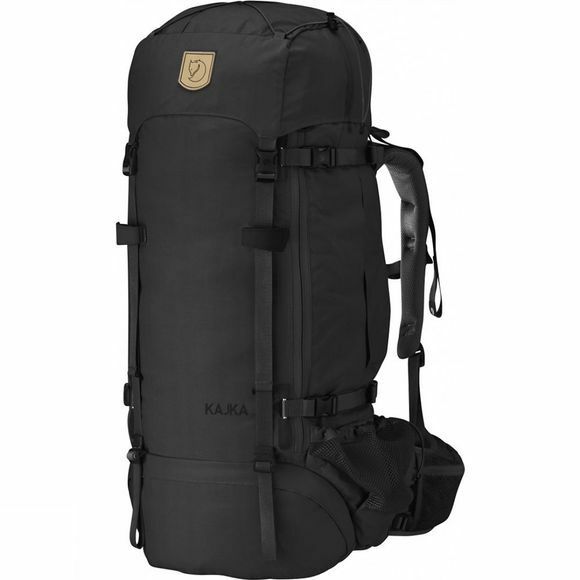 Despite its fairly modest appearance, the Women's Kajka 65 Rucksack is an advanced trekking backpack in the classic Fjällräven spirit. It is durable, comfortable, loaded with functions and features an innovative, one-of-a-kind wooden frame that has a lesser impact on the environment than other materials while maintaining its strength and functionality. The support system is designed for female anatomy with ergonomically shaped shoulder straps, and it distributes even extremely heavy loads. The user-friendly Perfect Fit Adjustment System can be easily fitted to the length of the user's back and shoulder width. The hip belt is specially shaped to fit the female form and offers a high degree of carrying comfort on long trekking days.